The outlook for the international lighting market is bright, and Taiwanese manufacturers are well positioned to take advantage of the rosy prospects. 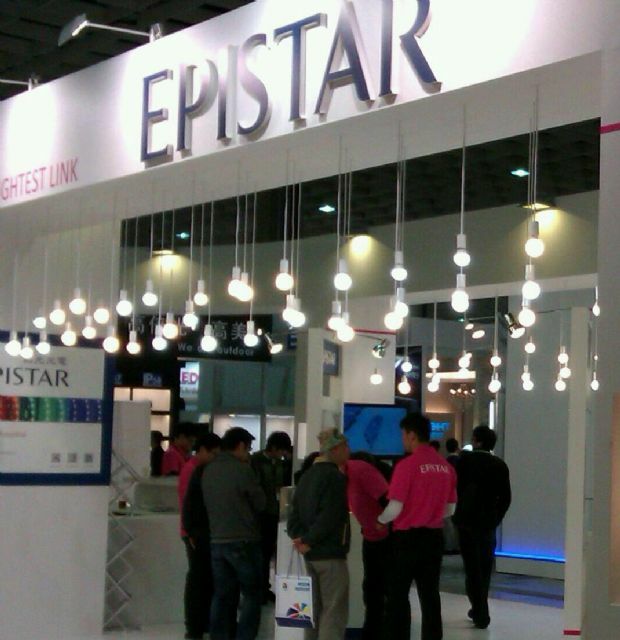 Many of the island's lighting companies with their sights set on the mainland Chinese market, such as the LED lighting manufacturers Everlight, Epistar, Lextar, Genesis Photonics, Edison, and LedLink Optics, displayed how the plan to do that at this June's Guangzhou International Lighting Exhibition. 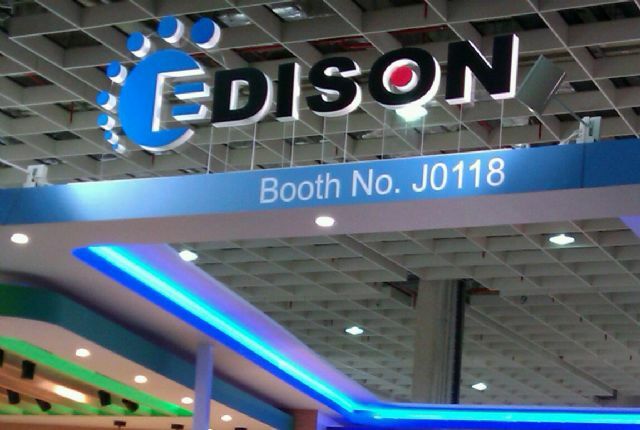 Edison is one of Taiwan's major upstream chip suppliers. Upstream epitaxy plants introduced new flip chip technology. Everlight put the focus on vehicle components for the first time, and a healthy slew of orders is expected as a result of the show. Epistar said that many of its customers are already using flip chip technology and that gross margins on this business are relatively high. Genesis Photonics noted that Epistar has brought out a full series of high-power over-drive chips and full-size flip chip components. Epistar enjoys a high gross margin for its flip chips. Lextar provides products in professional, high-quality, or cost-effective categories for different customer groups, and works in cooperation with a number of international suppliers to offer solutions with such accessories as lenses, reflectors, and brackets. 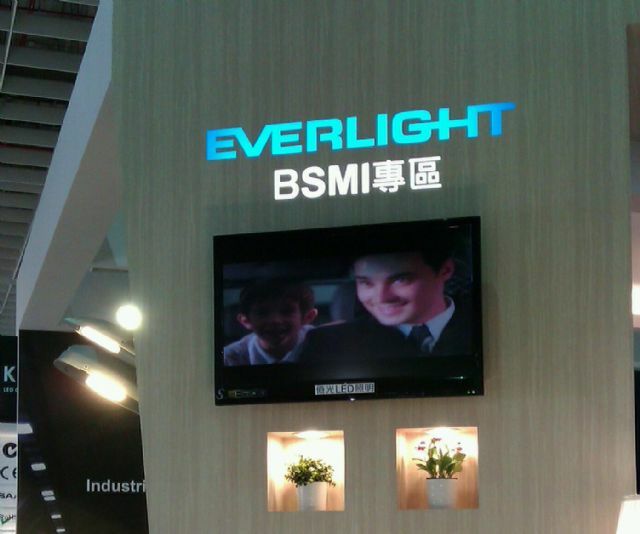 Everlight has made successful inroads into the mainland Chinese market, and this year marked the seventh time for it to take part in the Guangzhou International Lighting Exhibition. This time the company highlighted its new LED vehicle headlights which, it reported, are being produced in cooperation with Just Light and feature a highly efficient, optically uniform light source especially designed for vehicle use. Everlight has extended its product line to cover auto lights. Everlight is understood to have powerful ambitions for the vehicle lighting market; it has already taken orders from European and Japanese automakers, and is actively preparing for development of the Chinese auto market. The company expects the percentage of its revenue derived from vehicle-use products to double this year, from 5% to 10%. Since the beginning of 2011, especially, LED lighting companies have been facing such challenges as a supply and demand imbalance and intense competition, prompting them to turn to the development of niche markets--and the new field of automotive lighting is attracting ever more competitors. However, though Taiwanese manufacturers have enthusiastically committed themselves to development in this field, with the support of only a limited home market they have to deal with the strong competitive pressures in the Chinese, Japanese, European, and American automotive markets. Automotive lighting is a niche market that offers higher-than-average gross profit margins but has a relatively closed supply chain that requires long-term technical and product validation to enter. Its entry threshold is relatively high, and three to five years of hard work are often needed to break into the market. However, once linked firmly into the supply chain, relationships with customers typically last for years, and there is an abundance of incentives attracting cross-straight's manufacturers to enter the market fray--just as Epistar, Everlight, Lite-On, EOI, Laster Tech, and others are now doing. Automotive lighting is a niche market with higher than average gross profit margins. The new generation of energy-efficient lighting boasts such features as high security, energy savings, and long life, and it has already been applied to car interior lighting (reading lights), car headlight eyebrow lights, fog lights, and tail lights. The new generation of energy-efficient vehicle headlights does not yet account for a very large share--less than 10%--of the market. Since the demand for energy-saving, environmentally friendly, stable products is continuing to grow, however, the outlook for the new generation of vehicle lighting is rosy. Although Taiwanese manufacturers can offer outstanding product development technology and good product quality, industry figures say, they suffer from the backing of a sizable local auto market. Globally, the adoption of new-generation auto lighting products is led mostly by big international brands or the local brands of particular countries. Compared to Europe, the United States, and Japan, where most car manufacturers choose to use lighting produced by local companies, most Taiwanese manufacturers are viewing mainland Chinese as their priority market. 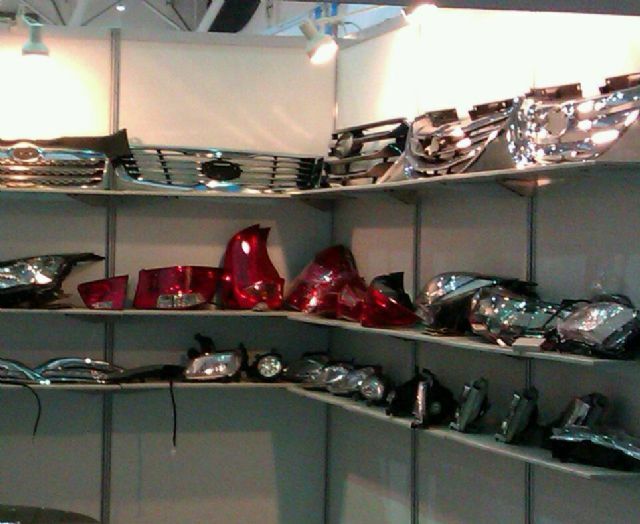 However, Chinese manufacturers are also fighting to get into the automotive lighting market, and companies like Xingyu Co., Ltd., Honglitronic, Refund Optoelectronics, and San'an Optoelectronics have all expressed strong interest. San'an and Chery Automobile established a joint venture in 2011: Anvii Optoelectronics, a company whose area of business specifically includes the production of automotive lighting. More new entrants have joined the LED industry this summer in response to industry optimism about the prospects of the LED lighting market. One of the line's heavyweights, the packaging firm AOT, which counts among its shareholders the Hon Hai Group (which owns a stake of more than 30%) and Nichia (11%), listed on Taiwan's stock market on July 9. Government subsidies, as well as the trend toward energy conservation, are helping to drive the continued growth of the LCD industry. The government policy of supporting energy conservation has been particularly beneficial in stoking the growth in demand for LED lighting. In addition, the efficiency of LED lighting has itself showed continuous improvement and costs have consistently declined, helping to increase the market penetration rate of LED lighting products. The biggest area of LED lighting applications includes commercial lighting and street lighting. Commercial office buildings and public buildings use a huge number of lights; and if their basements and driveways are lit around the clock, lighting is a major part of their electricity consumption. The demand for street lighting is strong in developing countries such as Brazil, Russia, and Mexico. NPD DisplaySearch noted that judging from 2013 revenue performance, LED packaging firms continued to grow and to perform better than LED chip makers, mainly because the former have expanded their business models by investing in downstream modules and applied products. This has boosted their revenues and profits. Prospects are not entirely bright for Taiwan's LED lighting companies. The subsidies that the Chinese government gives LED chip manufacturers there, for instance, helps sharpen their competitive edge in comparison with their Taiwanese counterparts, particularly with respect to the procurement of production equipment.